The beat demands attention as an electric guitar crackle creates tension to intro “Believer”, album opener for Johnny Chops and the Razors on their recent self-titled release. The Austin, Texas-based band soundtracks Lone State musical traditions, blurring the lines between Rock, Country, and the Blues as they crawl over the mud-thick swamp groove of “Only When You’re Breathing”, slap a shot of “Medicine” with a rough rhythm, sweeten the beat with slide guitar for “Sugar”, and whisper “Good Night” on campfire Folk. 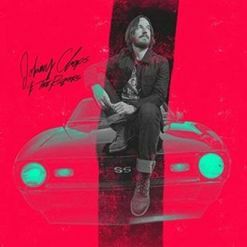 Johnny Chops and the Razors welcomes friends in as the band is joined by The Gospel Starz harmony on “Taking a Chance on Me” and spread a smoldering fire across Willie Dixon’s “I Just Want to Make Love to You”. 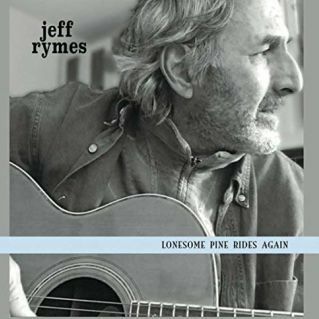 It took an extra step to record, Lonesome Pine Rides Again, the recent release from Jeff Rymes. 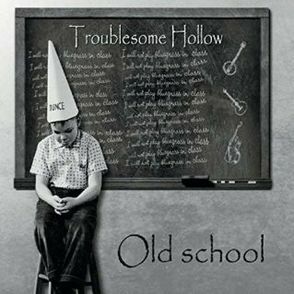 The song listing for Lonesome Pine Rides Again mirrors its companion release, Even If the Sun Don’t Shine, the Taras Prodaniuk-produced album that returned Jeff Rymes to the California Country sound he had a hand in creating with The Lonesome Strangers in the SoCal 1980’s. While the titles match, the music leads the stories in a different direction on Lonesome Pine Rides Again, the vocal becoming an instrument that pulls the pain from “Bring It Back”, the hope glimpsed under grey skies in “Even If the Sun Don’t Shine”, the despair behind the wheel with “Ever Since You Went Away”, and the memory stuck in the same small town for “Once I Had a Scooter”. Jeff Rymes is the storyteller, his delivery guiding the emotions as “It Rains All Over Town” turns up its collar against bad luck/weather while he counts off confessions in “Without Forgiveness” and vibrates with a rhythmic head rush for “Love is Here to Stay”. 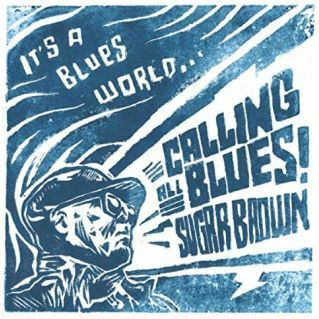 Recording Calling All Blues, It’s a Blues World, Sugar Brown found a spot to match his sound sensibilities, entering Marquee Sound in Toronto, Canada. The studio is located in an old movie theatre, and their focus of analog recording was in line with what Sugar Brown needed to back his songs. The Canadian musician talked about the sessions, recalling that ‘we recorded on two tracks, to quarter inch tape. I brought in one piece of recording gear, a 1936 Collins mike pre-amp, and plugged in my vocal microphone through that. By using the technologies of older recording, I want to give the listener a different sonic listening experience than what we’ve come to blindly accept in digital recording. That is part of the experience of a Sugar Brown album’. Calling All Blues, It’s a Blues World channels a front porch Folk Tom Waits delivery with “Lousy Dime” as it takes flight with album opener “Hummingbird” spreading its wings over a raucous roadhouse rhythms. Sugar Brown trudges along on a heavy-footed Blues crawl to tell the tale in “It’s a Blues World”, shakes out memories with “Those Things You Said”, seasons with a Blues slide sizzle in “Frying Pan”, and takes a Country swing with “Brothers” as Calling All Blues rattles out a beat in “Looking for 2 O’Clock” and blasts rhythms like a rocket for “Sure as the Stars”. 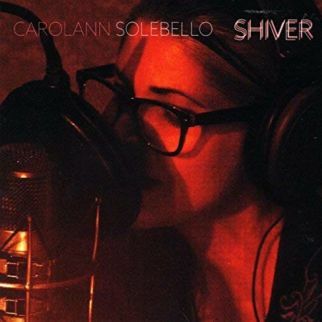 A founding member of Red Molly, Carolann Solebello is solo on her recent release, Shiver. Her voice is clear as it is raises up on a simple Folk music backing with a request for peace in “Our Lady of Sorrows” and finds a higher power that fits for “Jesus Played Guitar”. Intimacy surrounds two lovers in “Listen” dancing with wishes on the rhythm of a waltz as Shiver plays Acadian melodies to celebrate “Bastille Day in New York”, sweetens the mood with Country strums for the heated thoughts in “So Bad”, and wakes up to last night’s decisions as the morning light shines on “Burned”. Shiver shuffles rhythms and moods as New York City-based Carolann Solebello powerfully guides the tales with her voice, introducing a man facing mortality behind the wheel in “True North” as she scribbles words for future music with “Right Here”, and spins on gypsy rhythms for “Meeting the Muse”.